Why do we need to maintain caulking and joint sealants? 1. Avoid moisture damage – Keep unwanted moisture from leaking into your building and causing damage to interior finishes or other building materials. 2. Prevent mold growth – The leading cause for mold inside buildings is moisture intrusion from the exterior. Mold growth can eat away at because materials and cause health symptoms including increased allergies and asthma, headaches, respiratory symptoms, fatigue and reduced productivity. 3. Improve Indoor Air Quality – Less infiltration by allergens, pollutants and contaminants means healthier, more breathable air. 4. Seal out pests – Keep cockroaches, rats, carpenter ants and termites out of your building. They’re not just gross. They can do serious damage to building materials, too. 5. Maintain proper humidity levels – Will help keep water vapor levels at a good levels for occupant comfort (breathability, dry skin, nose bleeds). Also essential to preventing mold growth and preventing water vapor from traveling through building envelope. 6. Conserve energy – Keeps heating and air conditioning from escaping by preventing leaks. This’ll save big bucks on energy bills. 7. Block outside noise – Fewer distractions will improve concentration and productivity in schools and office buildings. Will also create a more peaceful atmosphere in healthcare facilities and residential structures. 8. Save money on repairs – It’s more cost efficient to have an annual inspection and caulking application, than to wait until it’s too late.The longer you wait to seal up damaged materials, the more damage that can occur. 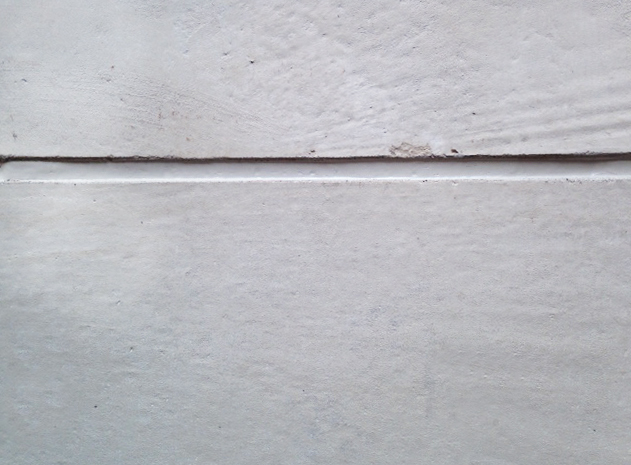 Why do we need to maintain caulking and joint sealants on the pavement around buildings? To protect against the freeze-thaw cycle we see in our climate. When water freezes it expands and pushes on the concrete, creating cracks and sprawls (broken surface area of concrete). Existing damage accelerates the process by allowing even more moisture to get under the concrete. This allows large amounts of water to gather under the concrete, which eventually freeze and cause further damage. The freeze-thaw cycle is the reason there are potholes every year. They’re generally formed in the Spring when snow starts to melt. Cracks and other deficiencies are also created in concrete at this time. The freeze thaw cycle can also damage exterior building materials (like bricks and siding) if they’re not properly sealed. Tripping Hazards: Shifting concrete can sometimes cause pavement sections to shift, creating tripping hazards for building tenants. When should you replace caulking and joint sealant on buildings and sidewalks? The best time for this is in the fall, before temperatures drop. It is vital to get everything sealed up before the cold and moisture hits. This should lead to better Spring time with less concrete damage and fewer potholes. It’s especially important to inspect and replace approximately one year after new construction, once the building has settled. These terms are often used interchangeably. Both caulking and joint sealants are used to seal joints and seams on buildings. They prevent air, water, dust, insects and smoke from entering buildings or getting into gaps in building materials. Confusion often arises because they’re both usually applied with a caulking gun. 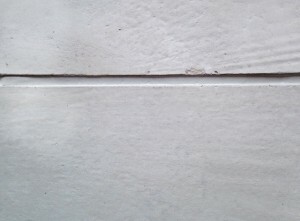 Freshly maintained joint sealant between two precast panels.